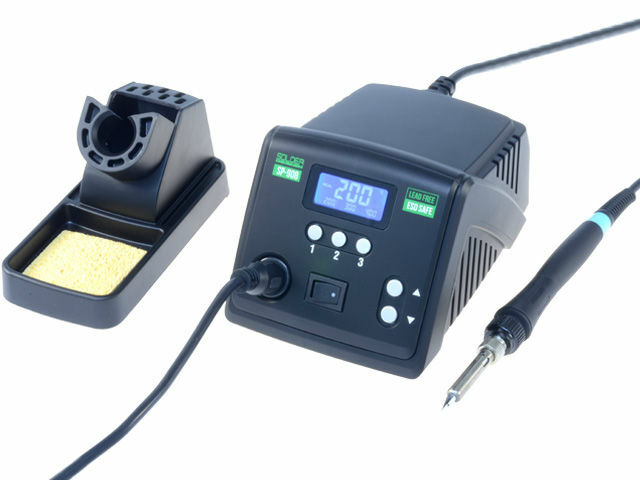 TME’s offer has been extended with a digital soldering station - SOLDER PEAK model SP-90B. This station is characterized by a soldering tip short heating time, good temperature stability and high power. Thanks to this, it is perfectly fit for soldering of different types of big-dimension THT components, as well as SMD sensitive components. Availability of large number of tips additionally extends the range of applications. This is an ideal solution for maintenance and manufacturing tasks as well as for other soldering works. - can operate in lead and lead free technology. - option to lock station parameters change by means of PIN code.